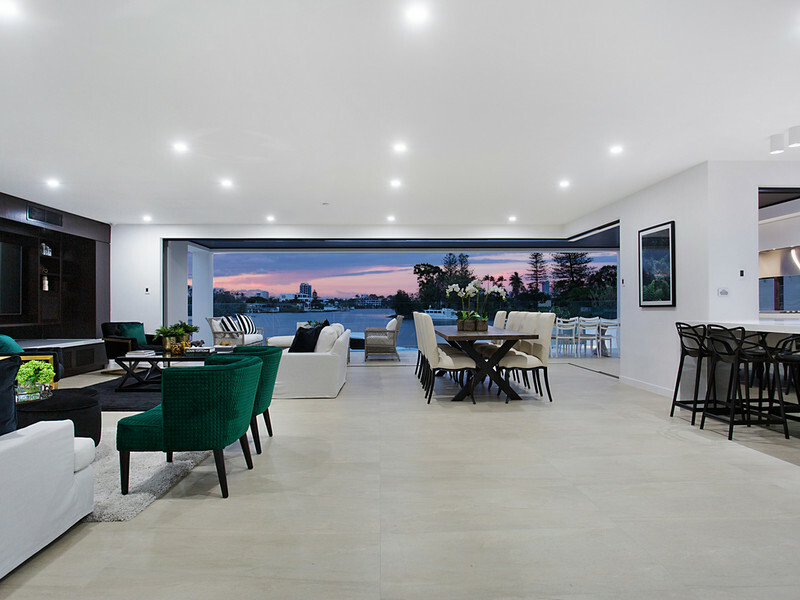 Isle of Capri real estate is among the most prestigious on the Gold Coast and, due to the location and lifestyle, is sure to remain so in the future. 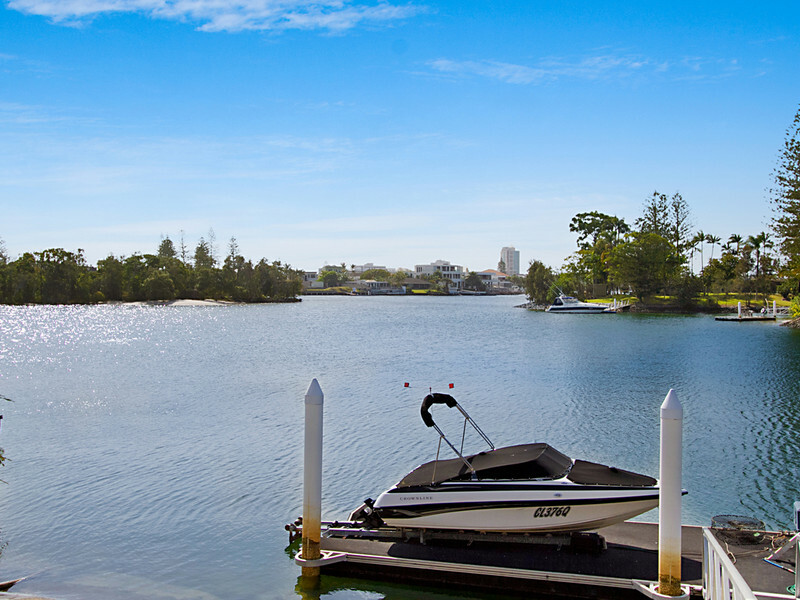 Isle of Capri is an island community set in the Nerang River, providing access between Surfers Paradise in the east and Bundall to the west. The atmosphere is tranquil in comparison to the two neighbouring suburbs as it is mostly residential. 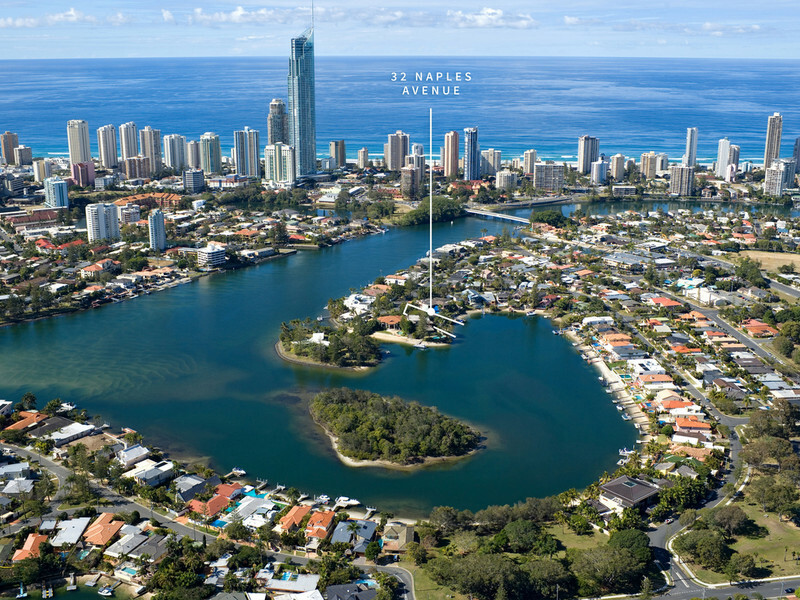 Originally farmland, Isle of Capri real estate was launched by developer and former Gold Coast mayor, Sir Bruce Small in the 1960s. It was an immediate success but most of the original homes have been modernized or totally rebuilt in the intervening years. Because of the island’s desirable location and lifestyle, Isle of Capri real estate values are generally higher than neighbouring suburbs. In fact, Isle of Capri is considered one of the most prestigious addresses on the Gold Coast, and some of the region’s most lavish mansions are located here. Due to high-rise development not being permitted on the island, there isn’t the usual mix of apartments and units seen elsewhere. For this reason the average price of homes remains in the $1 million-plus bracket. If you search diligently, you may still find an occasional older house offering potential for renovation and profit. Most Isle of Capri real estate comprises waterfront lots, either on the surrounding river or connecting canals, so Capri is a popular suburb for boating enthusiasts. In the centre of the island is a newly refurbished retail and dining precinct, Capri on Via Roma, which is home to some popular restaurants as well as smart boutiques, trendy market-style produce stores and commercial offices. There is also a wharf where you may arrive by boat to shop and purchase boat fuel and other marine services. A short walk over the east bridge lies Surfers Paradise and all that this popular tourist destination has to offer. On the western boundary is the commercial district of Bundall, putting the Coast’s leading colleges, golf courses, Arts Centre and the Turf Club within a few minutes’ drive. 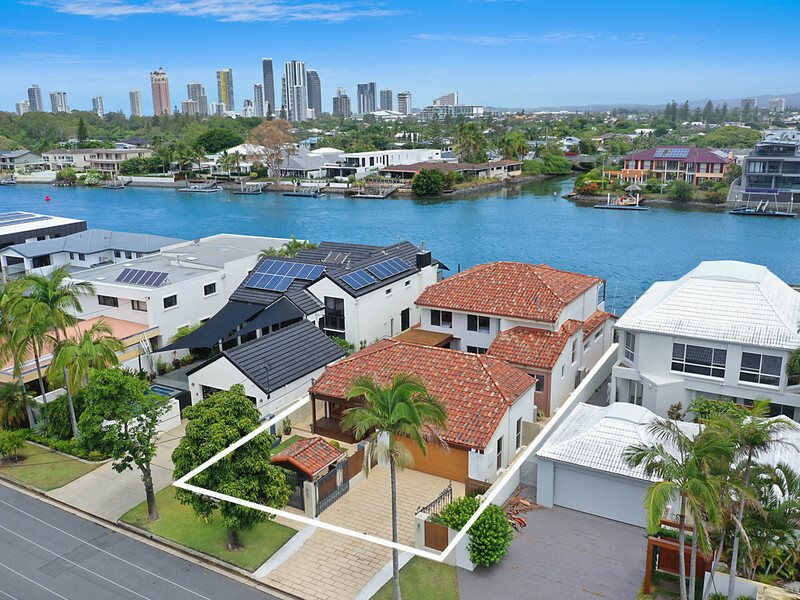 Isle of Capri real estate offers a refined waterfront neighbourhood conveniently close to everything but devoid of the noise and activity associated with Gold Coast tourism.